Invitation to all party animals, children and adults who like to dance! Do you enjoy listening to music on YouTube or dancing to your favorite tunes on the radio? Bring your friends and join us to create PARTY together with professional dancers at Black Box teater. 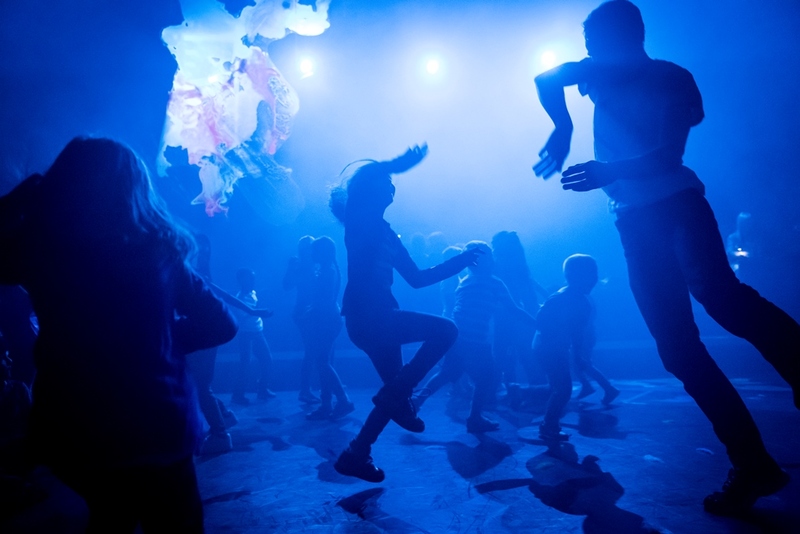 PARTY is a show for children and adults where the audience and performers are dancing together. In this performance the audience is not a regular audience, they are in fact the party itself. In a room filled with color and light from floor to ceiling, a DJ playing lots of cool music and adults with masks and costumes, participants can unleash, dance and have fun. Together with the performers, kids and adults are creating the party together. 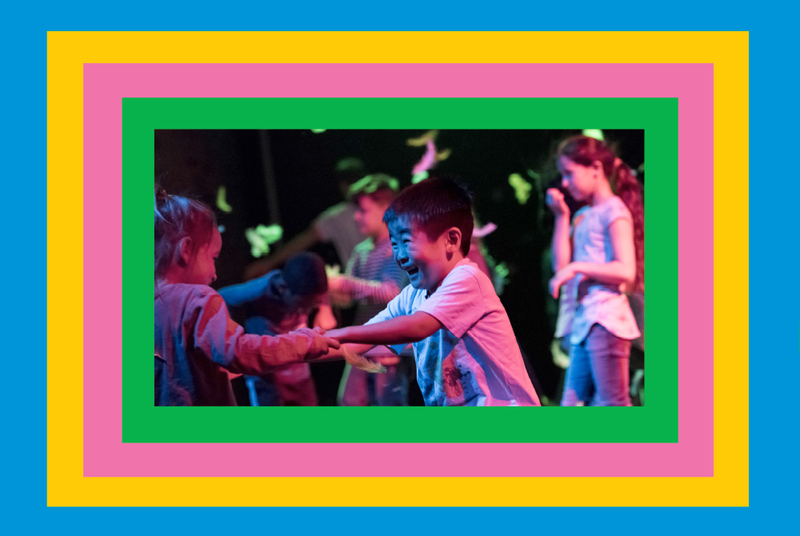 By guiding the participants through the party the kids are stimulated by the performers to make their own decisions and to express themselves through the language of dance. The goal is to create a special world where each participant can dance exactly as they like. For kids from six to ten years old. The cafe at Black Box teater will be open from 1pm – 4pm both days. by Alfredo Zinola & Maxwell McCarthy. From and with: Alfredo Zinola, Maxwell McCarthy, Julia B. Laperrière. Music: DJ Sarah Adorable. Scenography: Vladimir Miller. Light: Marek Lamprecht. Production: Alfredo Zinola with tanzhaus nrw. Supported by: Take-off:Junger Tanz, fabrik Potsdam, BAAL novo Theater Eurodistrict. Supported by: Stormopkomst Festival, Tanzhaus Zürich / ZÜRICH TANZT, Tanztendenz München. Sponsored by: Kunststiftung NRW, Fonds Darstellende Künste e.V., Kulturstiftung Matrong, Kulturamt der Landeshauptstadt Düsseldorf and the Ministerium für Familie, Kinder, Jugend, Kultur und Sport des Landes NRW.